According to the Instagram Intelligence Report, Facebook isn’t doing such a good job of reaching prospective customers for you. The results show that you can’t just post on Facebook, you have to rely heavily on promoting and boosting your posts. That’s why more businesses are looking at how to get more Instagram traffic to their websites. Instagram’s particularities as a medium are tipping the balance in its favor. For example, the “Explore” tab uses an algorithm that helps you find trending content via hashtags. Search for the hashtag and explore! And I know what you’re going to say! You can use Twitter to look up hashtags as well, but the difference is that Instagram has improved and refined this feature. Example 2, You can use the “Search” tab to see trending content topics in specific locations that interest you. Is Instagram your traffic generating tool of choice? The number of Instagram users has increased. Over 3,000 marketers agreed upon 1 thing, that the future of marketing is visual, whether images, video, gifs and so on (source: Social Media Examiner’s Marketing Industry Report). Social Media is important ever since it began to take form. Businesses are represented by people and people are social (no matter what they say!). And with visual content increasing in popularity, mediums such as Pinterest, Instagram and YouTube are beginning to be used more and more by marketers. Visual content, even if created especially for these mediums, is and will be shared on other mediums such as Facebook and Twitter. When do these posts and shares “happen”? Make sure you find out the best time to post on social media. People are not always online or paying attention. 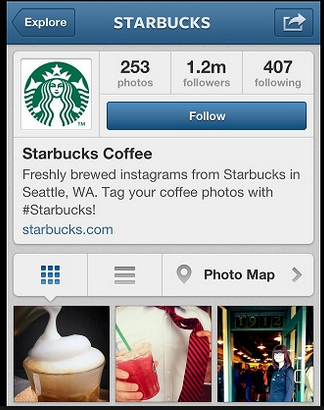 Instagram puts visual content first, and that’s why it’s perfect for retailers. Character limits in post descriptions aren’t a factor. Algorithms won’t hide your content. (as opposed to Facebook). Mobile dominates and Instagram was born as a mobile app. Using your bio space effectively. Tip: Include an Instagram badge on your website. To make the most out of your Instagram bio include full information about your business: website address, business location and so on. By including a link to your website, you lead people to your website, generating plenty of traffic. But clicking on a bio isn’t a normal Instagram action. You have to use CTA’s (calls-to-action) in your posts to get people’s attention in order for them to click on the link in your bio. How? To add a link, go to Edit Profile and type it in the Website text box. Use the Have2Have.it to take followers to another page that looks exactly like an Instagram feed, only instead of liking photos and commenting, they click images to purchase products or read content. Choose your best photos to post on Instagram with a text, relevant hashtags and links to action. You can even include a clear CTA (for example, “click the link in the bio”) and URL over your image using tools like Canva (in which you can create a lot of great visuals). Tip: Use symbols, emojis and capital letters to make your request (CTA) stand out. The key takeaway here is that if you tell people what to do to get a benefit and how to do it, they will take the action if it’s easy enough. When you start including your hashtags, make sure to put between 5 and 10 per post, and combine the most popular hashtags with less popular ones. A joint effort is always more effective than the effort of an individual, and that’s why in marketing it’s always better to collaborate with partners and influencers. Instagram should be no different. Influencers are the ones that have a very good reputation and a high volume of followers. They’re leaders, and you need to connect and collaborate with them to be successful. Check out these stats shared by Amanda Walgrove below to recognize and act on the importance of influencers. Check out how to connect with influencers in your niche or industry as recommended by the people over at CommsAxis. Advice: Send influencers samples of the type of imagery you post on Instagram and try to barter (giving something in exchange for something else – not money) your way into gaining more reach and traffic. I use WEBSTA to search and I can tell you that if you look for a hashtag or keyword. You can find the most popular hashtags related to the topic and the users that have placed it in their user names and bio’s. What exactly should I share and do on Instagram in order to generate buzz? Creative images obtained by positioning the products in an attractive atmosphere, and using Instagram filters to give them a little extra kick. Ideas for images: products, alone or with complementary products, behind the scenes photos, tips and advice etc. Great Videos: of the production process, the occasions of a special event or holiday, or use this medium to answer FAQ (frequently asked questions). Structure is always useful when doing social media content creation so take a look at this article to find out what works across channels. Treat your Instagram followers special, engage them, comment on their posts, follow them, show fun content catered only for them and offer promotions and discounts. That will significantly increase your customer loyalty. Extra tip: What is watermarking and why should you do it? You’ll never know for sure which of your images will go viral and the best choice is to play it safe and watermark your images. That means that you include your company website URL in your photos. Wondering how to do that? There’s an app for it! iWatermark stamps your URL on your photos. And if you want to check up on your progress, AgoraPulse has a great Instagram analytics tool that you can test. Thank you for reading and please share if you found this useful. Do you market through Instagram? Let me know about your experiments and successes of how you get more Instagram traffic in the comments, below! Mike Dane is an expert on Social Media Traffic Generation. Mike is a Digital Marketing professional and currently working as a PR manager at #TruConversion.com. He truly loves online marketing and anything digital. He is very focused about who he works for. Once he starts work, he is fully committed to his duties and responsibilities at that company. Great article indeed, just as pretty much any other around here, otherwise I doubt Ms. Fitzpatrick would be posting here:) But it’s not the point. To drive the traffic, you need to attract it first, which is quite time-consuming without buying facebook’s ads or paying influencers (it surely is the most efficient way, but also too costly). Today there’s a lot of services providing different targeting capabilities, for example one of my all time favorite apps – Fast-Unfollow has recently switched to an original marketing model, they still sell the unfollowing, but they let you automatically reach out for other people completely free of charges. I had tried most of existing applications for Instagram of all purposes, and I must say this one is surprising and surprisingly good. Here is a question if anyone has a good suggestion. I recently became a Realtor and have a few social accounts but only a person IG account that I only use to follow. Should I make a Instagram account for my business or use my personal one but use it as business, if that makes sense. Thanks. Thanks for the post as well. Good question – wherever possible, a brand should have its own “identity”…at least that is the conventional thinking. I guess the answer depends on your goals and how you want to position your brand. Do you need brand awareness, to drive traffic, to engage, to generate sales, or provide customer service, etc.? Let us all know what you decide and how it goes – good luck!